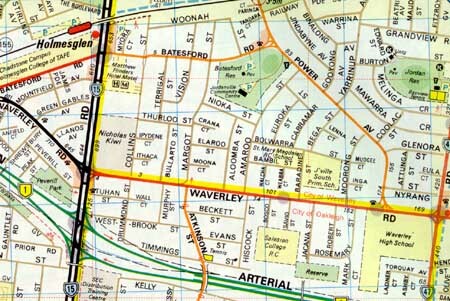 Billabong Boardgamers emerged from a group known as Glen Waverley Gamers founded in April 1995 by Julian Clarke. Julian, his wife Mary, Graham Staplehurst, an English gamer on a 2 year secondment in Melbourne, were the first members of the group. In early 1997, Julian discovered David Coutts' Board not Bored Games and invited David to join the group. David introduced Alan Stewart, and Doug Adams and Janet Ford joined soon afterwards. These five (the Clarkes had separated and Graham's secondment had ended) formed the core of the group for the following 6 or 7 months. Donna Heenan was the next semi-regular to join and shortly after, it was decided to rotate meetings through various members' homes. In October 1997, in recognition of the changes to the group, Billabong was selected as the new name--Julian liked the Australian theme, and it was partly inspired by the boardgame of the same name. In November 1997 the Billabong web page went online. In October 1998 Roger Smith and Dey Alexander took the number of regulars to 8. Since then, new members are coming along on a regular basis. We typically have 8-12 gamers attending each week. We are now meeting at a new venue as it is no longer feasible to meet in members' homes. See current list of Billabong members. We are currently meeting on the 1st, 3rd and 5th (when there is a 5th) Tuesday nights each month, from 7pm to 11pm at Amaroo Neighbourhood Centre, 34 Amaroo Street, Chadstone (corner Bolwarra Street). Entry to Amaroo is via the rear door (from the car park in Bolwarra Street), and a fee of $2.00 per person covers the cost of the venue and tea/coffee. A plate of food is always welcome. If you find the door shut, please knock and we'll let you in! See Melways reference 69H2 for travel directions. Nearest public transport is Homesglen Railway Station, a 1.1km (roughly 15 minute) walk--head east along Batesford Road, right at Margot, left at Nioka, right into Amaroo, left into Bolwarra and in via the car park at rear. See map below for details. Please read the following guidelines for new (and old!) members. Most of it, we hope, is purely common sense. Our main reason for attending is to enjoy ourselves, right? Please do your best to enhance your own enjoyment, as well as ensuring your fellow players are enjoying themselves also. Please be courteous, offer assistance over a difficult rule or strategy, and ensure that your fellow gamers will want to game with you next week. For years now we have been playing from 7pm until 11pm. The core group arrives at 7pm and has a game on the table very quickly. If you want to be included, please try and be in attendance at 7pm. It can be awkward to have someone arrive at 7:15pm with all the tables full and play underway. One table will have to pack their game away and set up something else to include the latecomer. If you cannot make it to Amaroo by 7pm, please let somebody know if you are going to be late. That way, we can plan a game to finish by the time you arrive. We don't like players sitting around waiting for a game! The game owners bring along a box of games to play each week. These games are put on display and you are free to play them. Feel free to bring your own games along, but be prepared to explain the rules and teach players who are new to your game. If games have a large foreign language content, always bring the translation, and any play-aids that will help break the language barrier. Help others get the most out of your game. If nobody has played the game before, table talk should be encouraged to help learn the rules. These games are expensive and it may only take one damaged component or card for it to lose play value. Please treat all the games with care and respect - don't bend the cards, and so on. When a game is completed, ensure it is packed away correctly and no components have been overlooked. A quick scan of the floor can often turn up an accidentally dropped piece! Feel free to bring food along, but only eat "game friendly" food when playing. Please don't eat oily or greasy foods, such as chips or pizza, near someone's game. Biscuits, and a cup of coffee is fine. Winning is nice, but so can be losing. Be gracious in victory and defeat. Don't take a grudge into the next game. Wipe the slate clean after a loss. Remember, these are games - have fun. We are permitted to use the Amaroo facilities and our thanks go to the Amaroo Neighbourhood Centre for allowing this. At the end of the evening, please spend five minutes assisting others putting the tables and chairs away, washing coffee cups, and generally cleaning up. We like to leave the Centre in the same condition we found it, or better! Billabong exists because of the efforts of us, the members. A member turns up each Tuesday to open the Centre, a member pays the monthly rental bill, a member provides tea and coffee, a member updates the web pages. However, we can't do this all year around, so please be prepared to assist for a week or two when help is required. This is our club, and help is appreciated from time to time! The Billabong E-list is used primarily for administrative purposes and is useful only for those who are playing, or thinking of playing, with the group. Please note, your subscription request is subject to approval, and we will make contact with you once you make such a request.